Vinny DeMarco might be a latter-day Don Quixote except that he tilts his lance at real obstacles to social justice: lobby-locked state legislatures and Congress, stonewalling the public will. And he makes impossible dreams come true. In twenty years of organizing campaigns in Maryland, he has led successful efforts to pass gun control laws (against National Rifle Association opposition), to hike cigarette taxes to prevent youth smoking, and to extend health care to hundreds of thousands of low-income workers. He has also built a unique alliance of mainstream and conservative faith groups, which helped secure rare bipartisan votes in Congress for the enactment in July 2009 of landmark FDA regulation of tobacco manufacture and marketing. DeMarco’s unique strategic template, developed over two decades of serial campaigning, includes momentum-building stages over a multiyear campaign; unrelenting, skillful access to the media for engaging public support; coalitions of hundreds, even thousands, of faith, community, labor, public health, and business groups; and a hard press on candidates to support legislation before elections, rather than after they are comfortably in office. 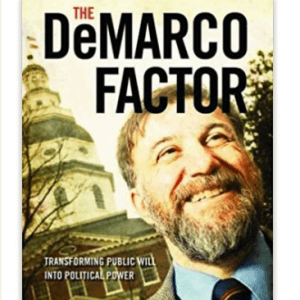 As an organizer/leader, Demarco also succeeds in his campaigns through force of personality: his unquenchable exuberance and idiosyncrasies delight and madden his opponents–sometimes his allies, too. Michael Pertschuk, himself a veteran advocate, here chronicles three of DeMarco’s campaigns, each facing a different obstacle course. 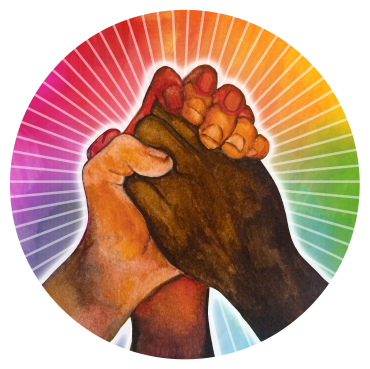 His deep analysis draws out strategic and leadership lessons that engaged citizens and advocates for popular causes stonewalled by powerful lobbies can put to immediate and practical use.